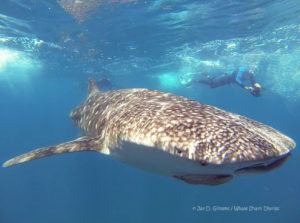 Responsible whale shark trips in La Paz, Mexico that directly contribute to the conservation of this endangered species. 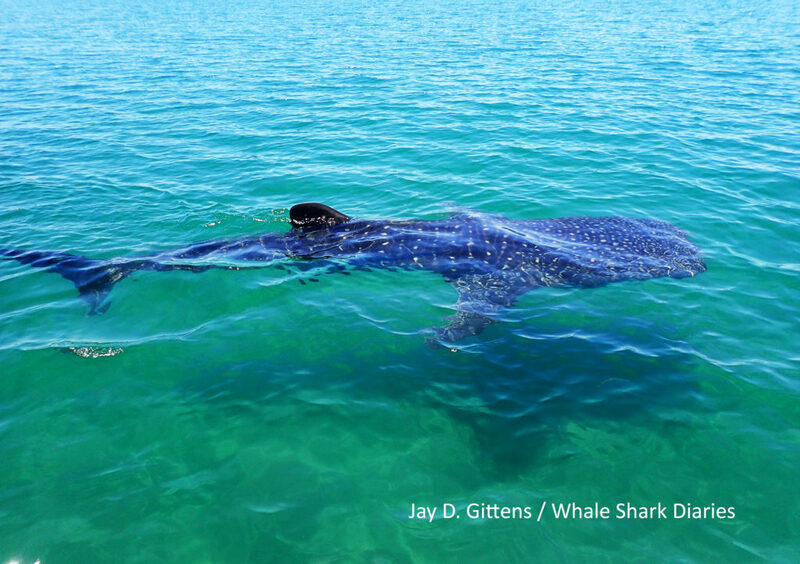 La Paz Bay is home to a seasonal feeding aggregation of whale sharks, Rhincodon typus. 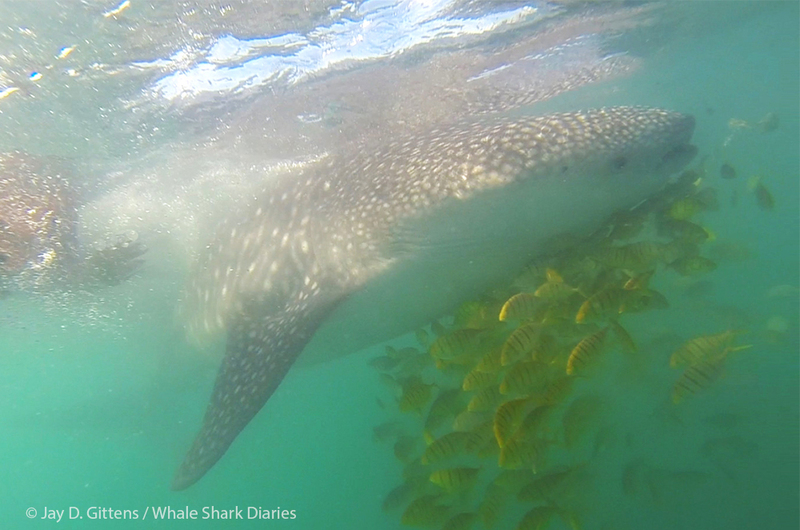 Here it is possible to locate and swim with whale sharks on or near the surface using basic snorkeling equipment. Join a whale shark conservationist on an excursion to snorkel with these gentle giants in their feeding aggregation in La Paz Bay. Here you will learn about the biology, life history and conservation status of this endangered species whilst directly supporting their protection through the collaborative research, awareness and education projects of Whale Shark Diaries. Enjoy a responsible interaction with the whale sharks and have an experience you will never forget. Your participation helps to support collaborative research and marine environmental education to children in their schools. Start Time: typically 9:00am *early afternoon trips are weather dependent. *includes mask, snorkel, and fins. *Wetsuit rental is available at $100 Mexican Pesos, roughly $6,50 usd per person. You need to let us know in advance if you require wetsuits for you and your group. Important notice: In the interest of reducing the use of single-use plastics, we do not provide bottled water or sodas on our day trips. Guests should bring their own drinks in a refillable container. There will be some spare purified drinking water on the boat so you can top up should you run out. Location/Meeting Place: Muelle Fiscal/Fiscal Pier on the malecon. Price: $75 usd per person. Included: Snorkeling equipment, licensed boat with certified captain, certified marine biologist guide. Not included: Refreshments or food, wetsuit rental (for winter months – $10 usd per person), gratuities, land transportation. Trip highlights: Snorkeling, whale sharks, beach, sea birds and other marine fauna.